David began his architectural career in 1990 designing site-specific passive solar houses in Austin, Texas. In the years since, he has worked on a variety of building types occupying sites from Bangor, Maine to Beaverton, Oregon, and from the Texas Hill Country to the Canadian Rocky Mountains. In his formative years Suttle worked for Dr. Thomas Noble Howe on archaeological excavations in the Ancient Roman Forum and in Castellammare, Italy. The experience of having direct contact with ancient buildings and distant cultures instilled within him a deep appreciation for timeless design, durable construction and collective social endeavors. With an understanding that collaboration is an inherent aspect of architecture, David has always enjoyed working with inspired clients, consultants and builders. Suttle’s portfolio includes homes in Texas, Massachusetts, Oregon and British Columbia, a cancer treatment center in Maine, a helicopter ski lodge in British Columbia, a stainless steel pavilion at the Arnold Arboretum, a brewery and distillery in Hood River, the Booker T. Washington arts magnet high school in Dallas, a waterfront station for Portland Fire and Rescue, the Pink Martini World Headquarters, a dog boarding kennel, a bar & restaurant in Denver, and a Muslim Community Center in Portland. 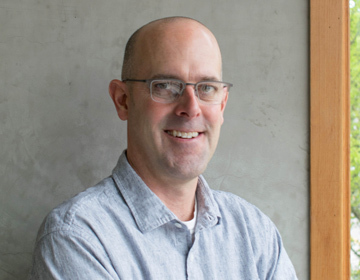 Currently, David is serving as Project Architect on the new Beaverton Center for the Arts. David has been a resident of Portland for the past 15 years. He is a licensed Oregon architect, a LEED Accredited Professional, and a card carrying member of the American Institute of Architects, the Guild of Oregon Woodworkers, and the NW Film Center’s Silver Screen Club. When not sitting in a movie theater, Suttle enjoys spending time outdoors in the great Pacific Northwest. He holds a Master’s degree in architectural history & theory from the Graduate School of Design at Harvard University, a Master of Architecture degree from the University of Texas at Arlington, and a Bachelor of Arts degree from Southwestern University in Georgetown, Texas.